Do DIY Drain Cleaner Solutions Work? Do DIY Drain Cleaners Work? Blocked drain repairs in Sydney can be expensive. Unfortunately, this means many locals are turning to DIY drain cleaners and off-the-shelf products which are sold to them as potential solutions to serious blockages. While some drain cleaning products, such as Vaporooter, are effective at managing very specific problems, like tree roots, many off-the-shelf solutions are highly toxic. Risky to apply, dangerous for the technician who cleans up the job, and harmful to the environment, drain cleaning solutions should be avoided at all costs. What’s the harm in using chemical drain cleaners? Drain cleaner toxicity is so well documented that the United States National Library of Medicine has a page devoted to the topic. 'Drain cleaner poisoning’ is, according to the library, caused by breathing, swallowing, or even skin contact with the chemicals in drain cleaner. The active ingredient, sodium hydroxide, is found in some drain cleaners, as well as aquarium products. The list of symptoms of ‘drain cleaner poisoning’ reads as serious stuff, including difficulty breathing, chest pain, loss of vision… not something you’d associate with a common, off-the-rack product designed to be an easy fix for blocked drains! Drain cleaners contain very dangerous chemicals that can be harmful to your health if you swallow them, breathe them in (inhale), or if they come in contact with your skin and eyes. Source: US National Library of Medicine. Every blocked drain is different. Any supermarket solution is going to work some of the time, for some issues, but there is no magic cure-all. Any product that promises differently should raise eyebrows. 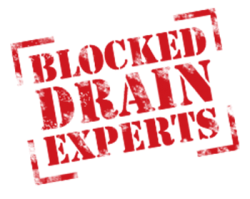 Without investigating your blocked drain problem, it’s also difficult for plumbers or sales staff to make informed recommendations about what’s going to work for a specific drain. Everything from the material composition of the drain to the specifics of the blockage – tree roots vs food waste, toilet paper vs sewage, and so on – has a big impact on what’s going to work best. Drain cleaners aren’t great for the pipes themselves. Corrosive chemicals that make the cleaners work also eat away at the interior of your sewer line, making future blockages more likely, as waste matter gets caught on the pipe’s roughened surface. This is a great way to ensure a costly reline or dig-up down the track. If you use off the shelf drain cleaner, you might put off spending the big bucks for now, but it’s going to come around sooner rather than later. Honestly, the eco-friendliest way to clean a drain is mechanically. Plungers, jets, and eels are all effective drain cleaning solutions that don’t rely on pouring corrosive liquid down your pipes. A lot of blogs and websites suggest different eco solutions to your drain woes. 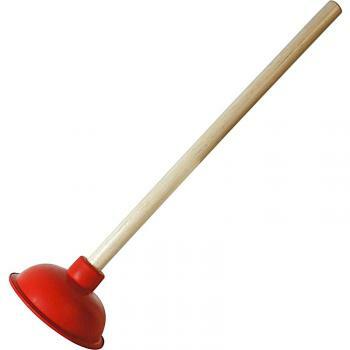 Many of these are great for minor blockages that would otherwise be cleared with a hand plunger. But for larger sewer issues, you’re out of luck. Drain cleaner fluids “work” for the same reason they’re toxic and dangerous: they eat away whatever is blocking your pipes. Nothing in nature, generally, is going to have the same effect. That said, we’ve already mentioned Vaporooter, which is one environmentally friendly product we use to control the growth of tree roots in pipes. Vaporooter is our favoured tree root solution, which eats the roots blocking a pipe while preserving the life of the tree. It doesn’t get eco-friendlier than that. Vaporooter is a herbicide treatment pumped as foam into your sewer. The root growth inhibitor Dichlobenil 50W attaches to organic material and sterilises the soil. As a non-systemic herbicide, it will only affect material it comes into contact with, and can’t travel far up the root itself. Vaporooter must be applied by a licensed applicator. It will destroy the roots in the pipe and pipe wall. An effective and safe tree-root solution, Vaporooter is used by councils, sewer authorities, and plumbers all over Australia, New Zealand, USA, and Canada. When you’ve got a blocked drain, don’t reach for a hazardous chemical cleaner. Call the experts, Plumber To The Rescue on 1800 620 227 for immediate service. We put your drains first, and are always close by, always ready to rescue you! Don’t wait: call today for on-time service, same-day repairs and honest advice. Get in touch on 1800 620 227. We Repair What Your Husband Fixed!